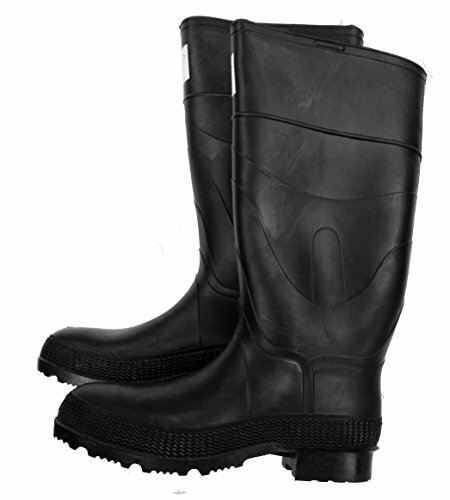 Herco PVC Rubber boots are designed to be worn over stocking feet and are sized true to your US Men's shoe size. HERCO Brand 16" Steel-Toe Rubber work boots are ideal for industial, farming, maintenance and general wear. One-piece all Rubber material is 100 % waterproof. Lugged sole for good traction under wet conditions. Resistant to saltwater, organic chemicals, most acids, ozone and exposure to grease and oils. Steel toe, steel shank & removable cushion insole. Meets all OSHA requirements.